Step-by-step monitoring and optimization of the production line, using measurements on product wafers at key stages in the process. We welcome inquiries from automation vendors who require a reliable and cost-effective inline lifetime measurement, with professional support and training. 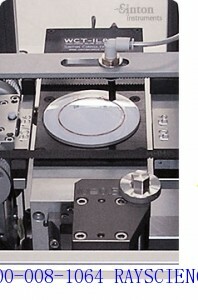 We also work directly with R&D and other small fabs and their choice of automation supplier to integrate the WCT-IL800 into any metrology workstation. Profibus interface. Sinton Instruments’ characteristic reports of minority-carrier dependent lifetime are also standard.